Our experts the author contacted disagreed on whether or not the .243 is a reliable elk cartridge. There are few topics in the hunting world that generate more heated debate than whether any given cartridge is powerful enough for a particular animal. Whether we're talking about the .223 Remington for deer, the .375 H&H for elephant, or the .256 Newton for Moluccan Rusa deer, the debates rage on around campfires across the land. To stir the pot further, we'll explore whether one of the most popular centerfire cartridges around, the .243 Winchester, is enough gun for one of North America's most majestic game animals, the elk. Before we dig in too deeply, let's begin by framing the debate. Although the mention of "elk" probably brings to mind a screaming Rocky Mountain 6x6 bull, the Wapiti is a broad category of animals ranging from 350-pound Tule elk cows to the aforementioned 800-pound bull. So, when you ask whether the .243 is "enough for elk," my response would be, "Which elk?" Let's also assume that the .243 is legal for elk in the jurisdiction where you plan to hunt; no sense wasting bandwidth if it's not. Finally, we will assume that our elk hunter's .243 is loaded with the toughest 85- to 100-grain bullets on the market rather than the weakly constructed 6mm bullets designed for varmints and predators. I'll be right up front and confess that I've never shot an elk with a .243, or even seen it done. In my experience, elk are something just short of bulletproof. If I draw an elk tag somewhere, I'm bringing along plenty of gun. 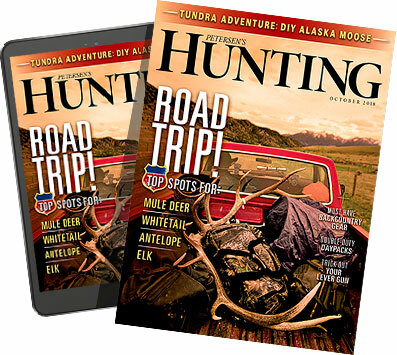 So, in an effort to answer the question with some real-world credibility, I enlisted the opinions of numerous elk hunters and guides with a combined total of hundreds of elk on the ground. Below are a few of the highlights, which represent the consensus of those polled. Elk country doesn't always offer a clean shot, which hurts .243 hunters. "[I've killed] a total of eight [elk with the .243], none of which moved much — one head shot, one neck, and the rest lung shots, none over 200 yards. None were in the timber and all elk were unaware of me. I made sure that all were in the open where extra shots could have been fired if needed. One five-point bull went about 30 yards, so I shot him twice. All loads were 43 grains of IMR 4350 with a 100-grain Sierra or 100-grain Nosler Partition." This gentleman has literally killed dozens of elk and took the .243 afield purely to see if it could be done. It can. He chose his shots carefully with the patience of an experienced hunter and ensured that the elk in question was nowhere near cover where they could disappear. It should be noted that his preferred elk cartridge is the 7mm Remington Magnum with 160-grain partitions. My friend D'Arcy Echols is a world-class gunmaker, but he's also guided elk hunters for decades. "Are we talking about a spike or a mature bull?" Echols asked. "If the hunter has enough experience with elk to wait like an archer for the perfect broadside shot and puts a good bullet just behind the shoulder when the front leg is forward, you'll have a dead elk". Echols emphasized that many variables come into play when using a marginal cartridge to hunt such a tough animal. "For undisturbed animals in the open sage or in their winter range, you may be ok. If you're in steep terrain or anywhere near the timber, I wouldn't even think about it. A wounded elk can run for hundreds of yards and, with a .243, you're not going to have much of a blood trail, if any. "Unless there's fresh snow on the ground or you brought a few San Bushmen trackers along, you're going to be in trouble." Our last resource is Nathan Foster of Terminal Ballistics Research. Foster is a New Zealander whose experiments on terminal ballistics can be rivaled by few men in history. Foster has shot over 8,500 animals in the rough terrain of his home country and performs painstaking necropsies after each kill. His website and books are a treasure trove of information on cartridge performance. "Countless elk have been successfully harvested with the .243 without fuss. However, for every success story there are just as many failures. While many experienced hunters like to argue the limitations of the .243 based on their own skills, animal welfare should always be paramount. There are a great many calibers more suitable for larger or medium game than the .243." Although a .243 is likely a passable elk rifle, it's unlikely hunters would ever choose it over harder hitting cartridges. Foster's comments really sum-up the argument: Yes, it can be done, but why risk a bad outcome when there are better tools for the job? There seems to be a consistent theme, whatever the game animal, that locals tend to use less powerful cartridges than visiting hunters. This reality probably stems from fear of meat damage and the practical shot opportunities afforded by many days in the field with a given species. If you live in elk country, you may spend day after day chasing bulls or cows and can wait for the perfect shot opportunity to ensure an ethical kill. For this type of hunter, a .243 with a 100-grain partition may be a suitable tool. For guys like me, who are lucky if they spend a week per year with an elk tag in their pocket, waiting for the perfect shot may not be reasonable. So many of my hunts have come down to tough shots on the last day, and in that circumstance I want a cartridge that provides me the confidence to ethically put an animal down. Premium bullets have come a long way in increasing the lethality of hunting rifles but, for me, the .243 Winchester will never be a viable elk cartridge. Too many things can go wrong and I don't like to leave room for error. Many recommend cartridges like the .243 for inexperienced hunters such as children. This is a big mistake. If anyone should be using such a marginal cartridge on elk, it should be experienced hunters with cool heads and a detailed knowledge of elk anatomy — not the shaky hand of a 9 year old pulsing with excitement from his first encounter. If the .243 is used, it should be treated like an arrow — only high-percentage shots on the exposed vitals of undisturbed animals, not raking shots at bulls in the timber. So, is the .243 a viable elk cartridge? Maybe, but it's also not the best option out there.